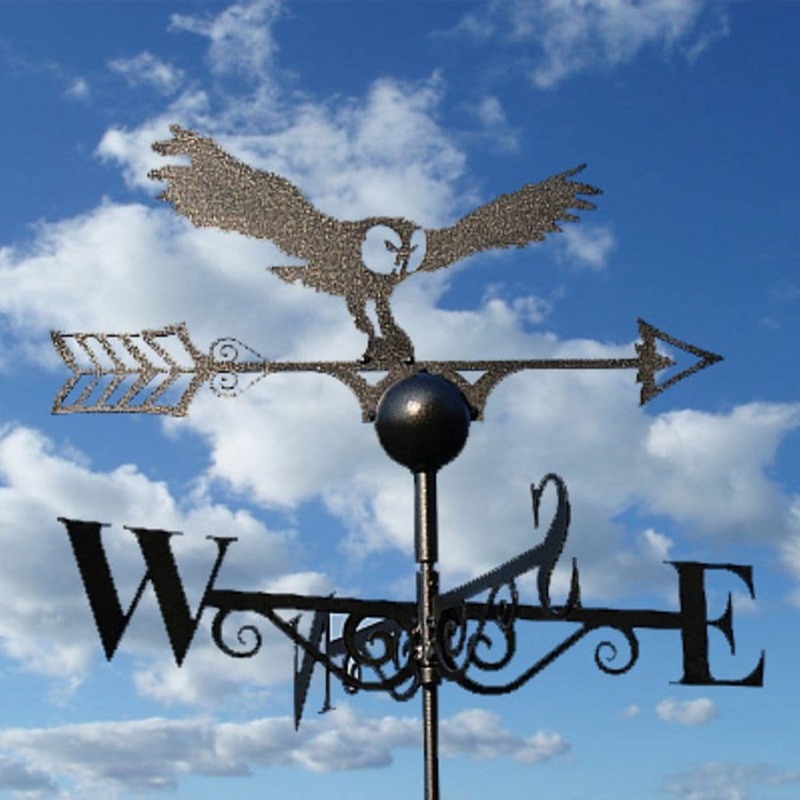 100% British made owl weathervane, perfect for adding a traditional touch to the garden. Made from solid steel coated with a durable black antique polyester paint for rust resistance. A unique gift for anyone who loves their garden.